Kanger EVOD PRO V2 Starter Kit is also an all-in-one device with 4ml juice capacity as the previous EVOD Pro. 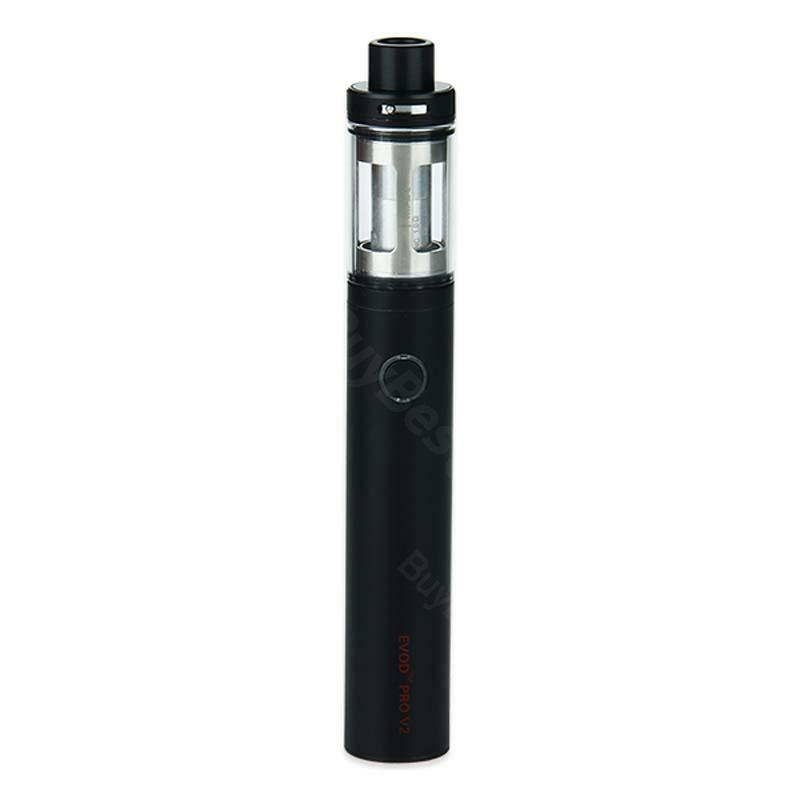 EVOD Pro V2 features 2500mAh built-in battery, adjustable airflow and replaceable Pyrex glass. Kanger EVOD PRO V2 Starter Kit is also an all-in-one device with 4ml juice capacity as the previous EVOD Pro. EVOD Pro V2 features 2500mAh built-in battery, adjustable airflow and replaceable Pyrex glass. It is also compatible with CLOCC coil. • Switch on/off: press the button 5 times in quick succession, it will be powered on/off. • Fill the e-juice and wait for 30 seconds for the cotton to saturate before vaping. • To disassemble/assemble the tank, hold the top cover and the mod, not the glass to avoid hurting. Awesome Kit for the price. For sure genuine, and extremely fast shipping. As a vape newbie, I migrated from the capsule style pens, they were too expensive to maintain. This is plain awesome, out of the box the battery lasted 4 days, provides good vape/cloud/smoke, couldn’t be more satisfied. AAAA++++ Vape Authority, thanks for making my first order, and first real vape device a great and inexpensive experience. Kangertech EVOD PRO V2 is a long-lasting vaping kit for daily use. Sehr schnelle Lieferung, alles war gut verpackt. Habe beide Kangertech E-Zigaretten abwechselnd in gebrauch (eine mit und eine ohne Nikotin). Beide funktionieren super.